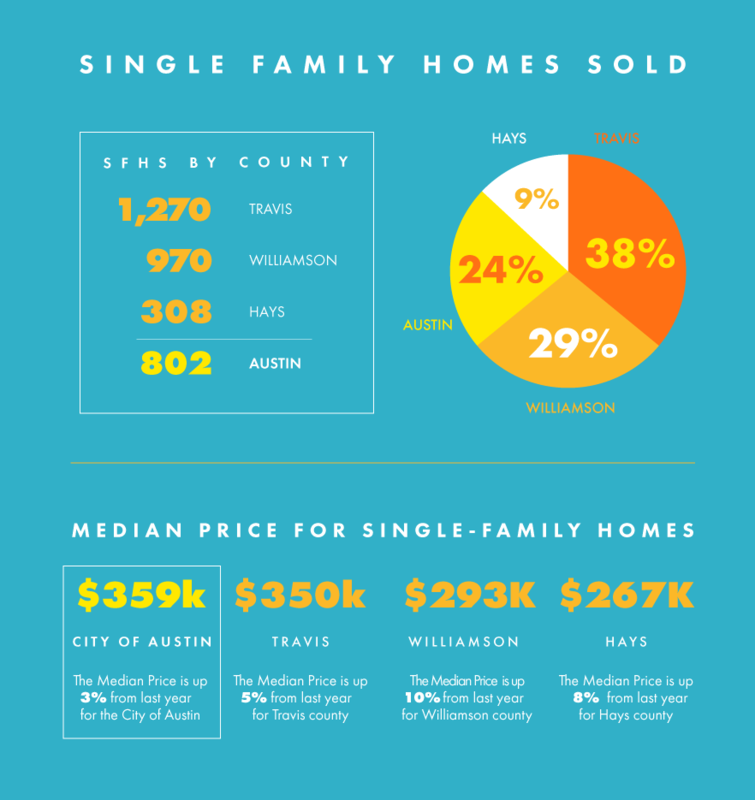 AUSTIN, TX – Central Texas had yet another record-breaking year for total homes sold, according to the December and Year-End 2017 Central Texas Housing Market Report released today by the Austin Board of REALTORS® (ABoR). State and national events such as flooding from Hurricane Harvey and the overhaul of the U.S. tax plan didn’t impact the housing market locally. Even rising home prices didn’t stop the market from growing in 2017. In the Austin-Round Rock MSA, the 31st largest metropolitan area in the U.S., the price of homes increased by 5.4 percent to $299,900 in 2017. Home sales increased annually by 2.4 percent to 30,059 sales, an all-time high for the area.